If you are a subscriber to our Weekly Special Real Estate Report, than you likely have read the shocking news. Even with today's improving conditions, the average market time for home sellers is on the rise! If you have not yet subscribed to the Tallahassee Real Estate Newsletter, I recommend you do so before next week (our 2016 year end summary will be published). You can SUBSCRIBE HERE. And if you'd like to first see our report showing the increased time it is taking home sellers to move their homes, you can see it RIGHT HERE. If you have never put much thought into measuring true market time in real estate, let me save you some effort. The short answer is a cross between "it depends" and "nobody knows." Because there are factors that are not being measured that are critically important when measuring average market time. When you do see a published report (not on this site) about time on the market in real estate, I can assure you that the findings are seriously flawed. 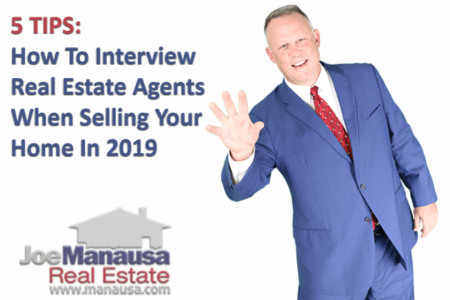 Whether they were put out by a brand-new agent, by the most experienced agent in the market, or even the the National Association of Realtors themselves, they are only showing you the best-possible case scenario. The reports that I have seen from Tallahassee to Tampa, Alachua to Zephyrhills, all pull data from the local MLS systems. They look at recent sales and see how long the listings were on the market. They then take the average of this result and report this as "market time" (or "time on the market"). Listing agents often time cancel their listings and immediately re-start them (in order to re-set the market time clock). A percentage of homeowners try to sell their home as "For Sale By Owners" before hiring a real estate agent. The time the home is on the market by owner is not counted. Sellers often go through two or more agents before their home sells. All time on the market prior to the final listing period are ignored in market time analysis. Some homes have gone off the market without selling and are not active now. How is this time considered? So the bottom line is that there are a lot of moving parts in the measurement of market time, so you can gain some insight about the education and experience level of an agent who is willing to quote you market time statistics. Most are just spouting off disinformation that they do not understand, whereas a small minority of them are trying to trick you with twisted salesmanship. 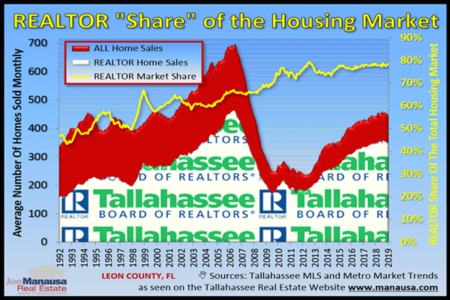 Both graphs below show how long successful "fresh" existing home sellers took to sell a home in Tallahassee. Fresh merely means they had not yet been listed with another agent, and existing simply means we have omitted new construction homes. We have culled the MLS data to include the entire length of time an agent had the home listed for sale in the Tallahassee MLS. This first graph shows that only 8% of home sellers sold their homes "right away" (less than 30 days) in 2016. This is important to note as the best way to get top dollar for your home is to receive multiple offers right when you hit the market. Obviously, more than 92% of home sellers failed to attain this goal. This next graph is simply a cumulative measurement of what is shown above. Roughly one-half of all home sellers last year sold their homes in less than three months, while the rest went anywhere from 90 days to more than 15 months! It really does not take that long to sell a home. In fact, it takes only 4 to 14 days to sell most homes in Tallahassee in such a manner as to get the most amount of money for the homeowner. With the rare exception for homes that must be marketed in a low-liquidity environment, homes that take longer than 4 to 14 days will likely yield less money for the home seller than a home sold within the proper time frame. Give us a try, talk to us about the "why" of this, and we'll start by taking a look at the current inventory of homes like yours that are listed for sale in Tallahassee. Whether you want to sell your home now or sometime in the future, our meeting will help you prepare to get top dollar for your home. If you are considering selling a home in 2017, I highly recommend that you invest 30 minutes of your time to discuss with our listing specialist what it takes to get top dollar this year when selling a home. Whether you choose to work with us or not, you will be well informed and have a good understanding of the modern home selling methods that produce the best results.